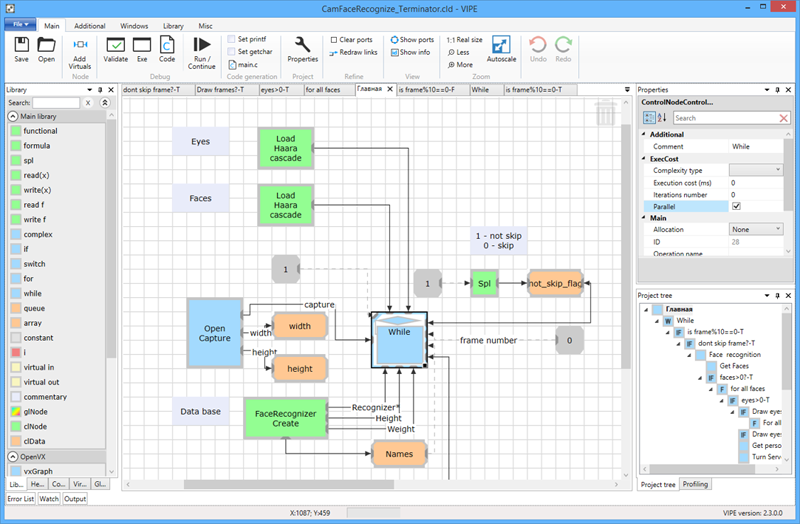 Visual integrated development environment to design portable software for embedded many-core systems. VIPE provides support for all the parts of the software development lifecycle (SDLC), from designing of a program scheme to generation of a final code, ready to deploy onto a target platform. High-level graphical representation and domain-specific libraries significantly simplify and boost the development of software applications. 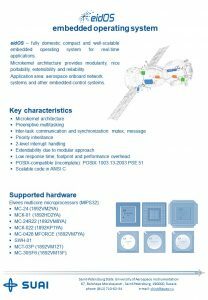 eidOS – fully domestic compact and well-scalable embedded operating system for real-time applications. 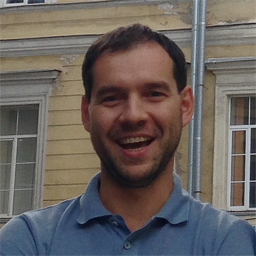 Microkernel architecture provides modularity, nice portability, extensibility and reliability. 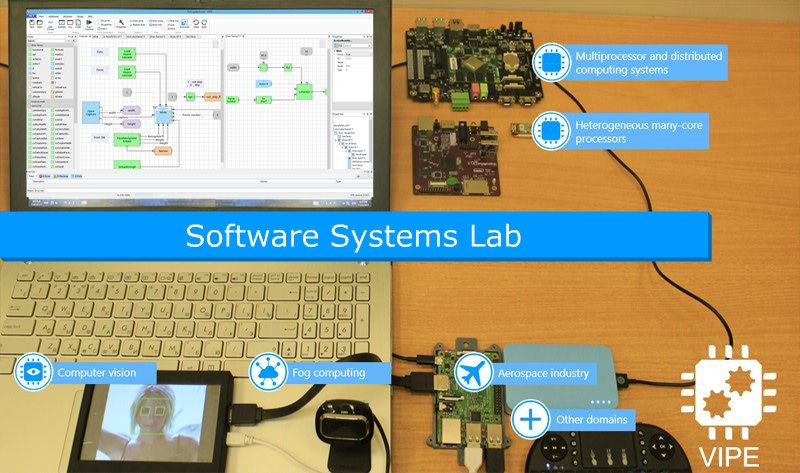 Within the framework of the joint project with “Scientific Research Institute of Aviation Equipment” and laboratory for Embedded Computing for Mobile Communications a set of techniques and automated software to support the development and operation of WLAN (on-board local area network) was developed. 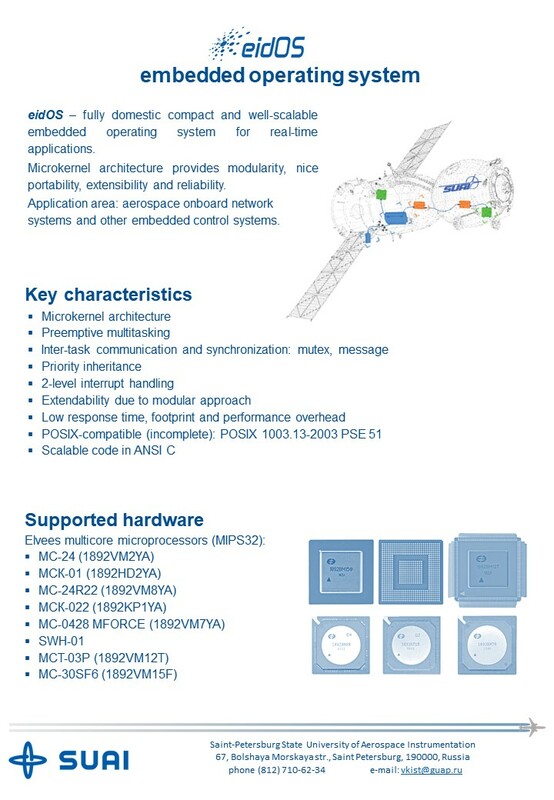 The developed approach provides a formation of a set of system components, a communication system, settings and routing. This approach ensures that designed WLANs corresponds with the required parameters and has an effective ratio of mass, cost and other operational characteristics. 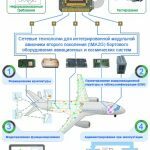 A technology for designing components of airborne equipment based on SoС technology was developed. 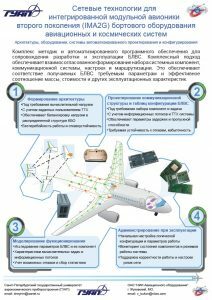 The technology is intended for the development of hardware and software components of aircraft airborne equipment based on the concepts of IMA and maintenance-free on-board equipment. Complex of techniques and automated software provides to develop high-performance modules with the required characteristics: performance, power consumption, mass, size, and to add the required redundancy. 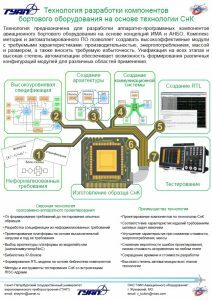 Unification at all stages and a high degree of automation provides the possibility of forming various module configurations for various applications.